If this knife can be had for around $50 it would be a little more appealing just based off the fact of the steel used and the handle material though don't let that steer you away from this knife. Overall it is a great knife but little features are holding it down. Let me contribute to that claim by saying the cutout in the handle for a seatbelt or very small rope has not worked for me the way it's designed or intended for. The handle feel is great along with the jimping on the spine of the blade. makes for great push cuts. The pocket clip functions and works great though over time can wear where it is inserted into the handle and it will slide side to side. Not enough to come out but enough to get on your nerves. 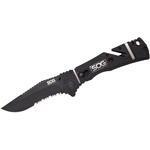 Had SOG used a better blade steel, the previous mentioned problems wouldn't bother me as bad. Nothing wrong with AUS8 but I generally prefer better edge retention. 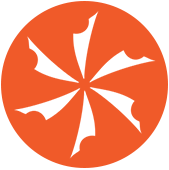 The blade shape is great and very useful and the model I had, the coating held up pretty well. I'm not exactly a fan of the lock design on this knife but it does work. I believe between the lock, pivot, and handle material causes the blade to have noticeable movement up and down and also side to side. The assist on this knife is also something else that I could do without but that's just my preference. It hasn't failed me yet though. If you can find this knife for under $55, I can recommend it. Anything above that I say look else where. My Knife came razor sharp with a tight blade. I've had it over a year and it's still rock solid with zero play in the blade. I've never had an issue with it "locking" closed in my pocket. And it clips into my pocket easy and comes out even easier. 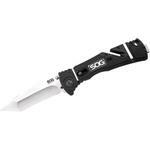 SOG knives are well made and with top quality materials. It's true these Trident folders do not have a liner inside the GRN handle. But now that it's been my EDC for over a year and is still like new for solidity I say not having metal liners isn't a drawback. It just makes the knife extremely lightweight! 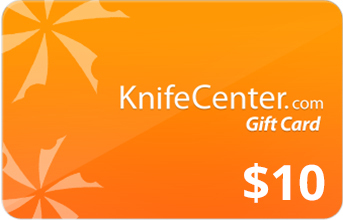 Buy one from Knife Centre. You won't regret it! I carried mine for a few years for personal protection and general use. It's very light, and the blade came very sharp. Unlike some other reviews, my blade has no play at all. It opens easily and locks securely. One handed closing is also no problem. The knife is very light though, and although I trust it for self defense and cutting steaks at a BBQ, I haven't employed it for any heavy duty work. The clip allows the knife to sit deep in my pocket, making it fairly discreet to carry, but this also means the knife takes a little longer to draw. The only problem I've had is that the safety catch sometimes slips to the locked position while in my pocket, negating the speed of the assisted opening. Imagine having to fumble for the safety when trying to draw in a hurry... All in all though, I love this knife! 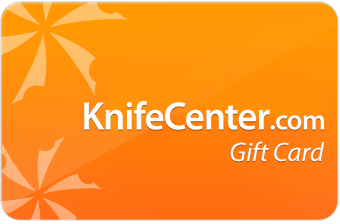 Hey, I wanted to share "SOG Trident Folding Knife Assisted 3.75 inch Tigerstripe Combo Blade, Black GRN Handles" with you from KnifeCenter.